The Crockett Ranch is a well-balanced, fully improved and well blocked 500 animal unit operating ranch in a reputation area of eastern Wyoming. It also lies in a scenic area where big game abounds making it a perfect property for a sportsman – not to mention the fact that it is within an hour of a major town with a commercial airport. The 13,700± acre Crockett Ranch lies in a contiguous block of almost entirely deeded land and sits nearly midway between the Big Horn Mountains and the Black Hills. During the winter and spring, one can see the snowcapped peaks of the Big Horns 90 miles to the west. The ranch begins about 10 miles north of Recluse and runs northerly for 7 miles along the county road towards the Montana border. The bulk of the ranch lies to the east of the county road with the lower meadows and several smaller pastures to the west. There are three drainages on the property. Although seasonal, these creeks can provide months of stock water and, in the spring and fall, attract migrating geese and ducks. Both sets of ranch improvements lie in the main Bitter Creek Valley near where two forks come together. The 1,200± acres of meadows are split between the Bitter Creek Valley and the upland pastures to the north. They are seeded to a dryland alfalfa/grass mix which attracts elk, mule deer, whitetail deer and pronghorn antelope. Most of the water on the ranch is provided by wells and spring fed stock tanks. There are 17 cross-fenced pastures which are positioned to allow easy livestock rotation. The ranch annually runs between 400 and 450 pairs in a cow-calf operation. The improvements include two very comfortable and well-maintained homes with views of the valley meadows and the timbered foothills that form the Bitter Creek Valley. There is also a small cabin to accommodate hunters. 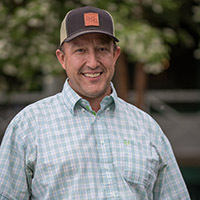 The operating improvements include a new steel three-stall equestrian barn, two steel equipment sheds, a large cow barn, and three sets of corrals with tubs and alleys. To summarize, all of the necessary pastures, water, and improvement infrastructure are in place for a profitable cattle operation. AND it should not go unmentioned that the Crockett Ranch offers some of the finest big game hunting in the state for mule deer, elk, upland birds, and antelope. Location: 10 miles north of Recluse – 50 miles north of Gillette. Acreage: 13,700± (12,800± Deeded - Balance BLM and State). Acreage Breakdown: 1,200± acres of dryland meadows and the balance is open and timbered grazing land. Improvements: Two comfortable ranch homes and a hunter’s cabin, excellent corrals and scales in multiple locations as well as top-quality steel cattle barn, Morton built shop and equestrian barn, excellent interior roads. 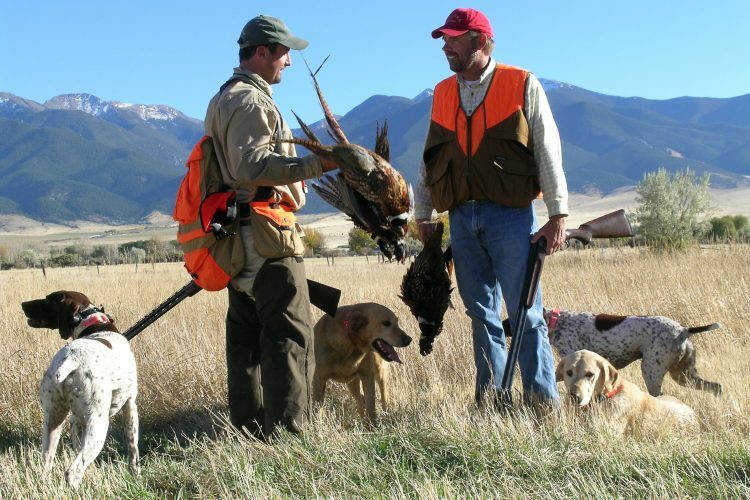 Wildlife and Recreation: Outstanding big game hunting for deer, elk and antelope - also upland birds. Summary: Well balanced 500 AU ranch with nice meadows, both open and timbered range, good water, complete and comfortable improvements and excellent big game hunting. Driving north from Recluse the county road comes to an intersection about one mile after hitting the very southeast corner of the ranch’s “Bull Pasture”. The right fork more or less parallels the ranch’s easterly side for about 4 miles which is very convenient for access to this portion of the ranch. The left fork follows the ranch boundary as the country changes from open prairie to timber lined valleys and then cuts into the ranch dropping down onto the valley floor providing easy access to both sets of ranch improvements before making its way north into Montana. This southern area of the ranch, particularly along the Bitter Creek Valley, is level to rolling country with scattered trees along the ridges. Fortunately, there are at least two pastures in this area that are clear of pine trees which is ideal for that last trimester before calving. The most productive hay meadows are there, so feed is readily available. As one drives north from the headquarters away from the county road on the ranch’s amazing private road system that was left over from the oil drilling days, one enters the really beautiful part of the ranch where the cattle summer and the elk and deer hang out. These are more steeply rolling pine dotted hills with pronounced valleys. There is enough timber to provide comfortable habitat for the growing elk herds and other wildlife that, as mentioned earlier, really relish the alfalfa/grass meadows fringed by the timbered ridges. It is well fenced into comfortable sized pastures all of which have good stock water from dams, wells, and springs. Located in Campbell County approximately 50 miles north of Gillette and 10 miles north of Recluse, the Crockett Ranch is situated in the highly regarded Bitter Creek Valley. This is an area well known as reputation cattle country and the Crockett Ranch is one of the outstanding ranches in this area. The owners are retiring and that is the only reason it is available. Recluse provides an important community center for the local population as well as a K-8 primary school. 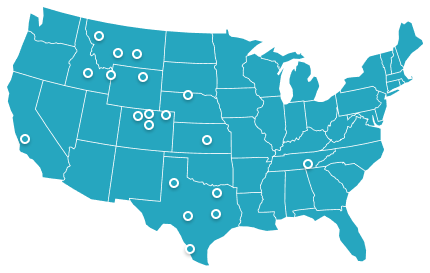 Gillette offers a full complement of social, cultural and commercial services along with 2 to 3 commuter flights per day to Denver. As mentioned earlier, the Bitter Creek area is a well-regarded ranching area with lots of good neighbors on various sized ranches. The owners have stated that perhaps the best part of ranching in this area is the neighbors. The culture of sharing work and/or working together makes it possible to run an economic ranching operation without hiring a lot of full time help. Testament to this is that all the ranches sharing property line fences with the Crockett Ranch are family owned. The nearby town of Recluse (10 miles) is a true “country” community for landowners who work their ranches. The Recluse Community Trust and the Recluse Ladies Club host weddings, receptions, parties and funerals at the Northwest Wyoming Community Center located in Recluse. The well-regarded Recluse Community School has grades K-8. The Campbell County School District provides bus service. Students are picked up and dropped off at their homes. High school students are bussed from their homes to either Gillette or Clearmont for grades 9-12. The school, post office, and community center are Recluse’s only services. It is not a tourist destination, rather a working community of good families and great people. The largest town nearby is Gillette – about a 45-minute drive. Its prosperity has been driven by the mineral activity in the area. This is fading a bit with the coal mines cutting back and coal bed methane becoming non-economic. However, the town has taken advantage of the influx of mineral related money and built some wonderful infrastructure which the locals and surrounding ranchers will continue to enjoy. There you will find a community college, churches, hospital, numerous restaurants, shopping, a complete array of commercial services as well as a full menu of social and cultural events. The Cam-Plex, a multi-use county owned and maintained facility, hosts the annual Campbell County Fair. It hosts a PRCA rodeo, the National High School Rodeo Finals, stock car racing, gun shows, antique and craft shows, a semi-annual indoor garage sale, National RV Rally’s, Wyoming Horse Racing and the MEGA Monster Truck Tour to name a few. The Cam-Plex Theater is a state of the art venue where national productions are performed each year. Sheridan is 90 miles west of the ranch. Sheridan is well known for its’ western ambiance and tourist stop-overs. It is a town which has always shown an unusual amount of pride and character. The King family’s nationally recognized Kings Saddlery and the associated Rope Factory and western museum attracts many visitors. 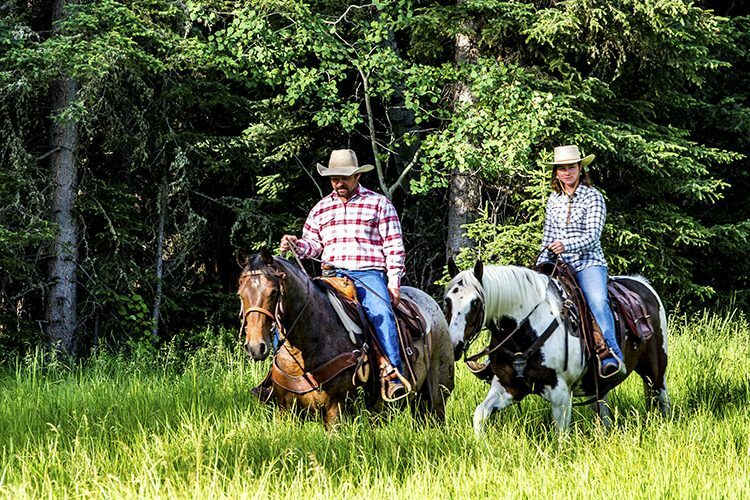 Eaton’s Dude Ranch and the HF Bar Ranch are two of the oldest active dude ranches in the U.S. dating back to the first decade of the twentieth century. They host families who return for generations to ride and fish and hike in the Big Horns. Sheridan also has two of the most active summer polo venues in the U.S. offering both high goal and low goal tournaments each weekend in the summer with no admission charge. Recluse – the closest reporting station – gets average annual precipitation of over 14 inches. Most comes through the growing season with nearly 6 inches in May and June. The winter months only receive around 1/3 of an inch on average per month. The average high temperatures in December and January the coldest months are 33 to 34 and the lows are 2. The hottest months of the summer have average highs of 87 and an average low of around 50. This U.S. Climate Data supports the general concept that the area does not get a lot of winter snow and gets good precipitation throughout the critical months of the growing season. The executive summary is that this is great country in which to live and ranch. There are no conservation easements on the Crockett Ranch. The main headquarters includes a 2,500± sq. ft. ranch-style home. Part of the house is the original homestead. Over the years it has been tastefully added onto and remodeled. It now includes a gourmet kitchen, office, and large game room. One entire wall of the living room is a slate stone wood-burning fireplace. The slate was collected off the ranch. The grated floor furnace heats the house to a comfortable 70 degrees. The bedrooms have electric wall heaters for supplemental heat. The expansive game room has a pellet stove. The house has central air conditioning. The master bedroom has a free-standing gas fireplace and ensuite bathroom with tiled walk-in shower. The two additional bedrooms share a full bath. Located in the full length, unfinished basement are two freezers, an additional refrigerator, built-in storage shelves, and half bath. The main headquarters compound includes a 42’x 90’ Morton equipment/machinery shed built in 1999 and a Morton 45’x 60’ heated equestrian barn also built in 1999. This horse facility has a 15’ x 60’ concrete alleyway, three indoor stalls, three outdoor runs, a 12’ x 15’ sleeping quarters with a ¾ bath, a wash bay and a tack/feed bay. A 54’x70’ steel calving barn is improved with a ten stall capability plus a two stall maternity pen. The full set of corrals includes a Fairbanks beam livestock scale tested to 20,000 lbs. - certified by the Wyoming Department of Agriculture - and a working tub and alley. There is a semi and stock truck load out. There is also a detached 4-stall garage/shop/tack room in usable condition. One and one-half miles south of the main headquarters, there is a second compound which includes a 2,548± sq. ft., two-story, 5 bedroom, 2½ bath home with an attached 700 sq. ft., two car garage. It was built in 2006 and has central heat and air conditioning. There are also two wood-burning stoves. At this location there is an excellent set of pipe corrals with a newer tub and alley and load-out capabilities. There is a shed attached to the corrals which houses a maternity pen. This is where heifers are traditionally calved out. Additionally, there is a 36’ x 76’ multi-use steel building which houses an insulated workshop/garage with a concrete floor on one side and equipment storage space with a dirt floor on the other. Both of the homes are located within easy access to the county maintained Bitter Creek Road. Located at a higher elevation approximately 3 miles north of the main headquarters is a full set of corrals with tub and squeeze alley and load-out. This corral is used for pregnancy testing cows and preconditioning calves in the early fall before trailing the pairs to the lower meadows for the winter. Semi-trucks and trailers are able to travel to this location for loading out yearlings or calves in the fall. Located 1 mile east of the main headquarters is a 900± sq. ft., 1 bedroom, ¾ bath cabin used for hunters and/or ranch hands. There is also a small bunkhouse. Located in close proximity to the main headquarters is a short airplane landing strip which was used extensively in the 1970’s and 1980’s. The current owners have not maintained the runway, but it could be restored to private use with minimal effort. The ranch is blessed with ample water resources for livestock and wildlife. The two wells drilled by oil companies used for their water injection systems are incredibly prolific water sources. Ownership of one has been transferred and permitted to the ranch owners. The second well is still permitted to the oil company which continues to maintain it. In all there are six (6) solar wells and nine (9) wells with electric powered pumps. The wells are all various depths. There are two permitted reservoirs. There are also two improved springs. Officially the ranch has 21 permitted water rights. Sellers will convey 100% of the mineral rights that they own although they believe they do not own any mineral rights. There is one active private oil well. The majority of the minerals are owned by the Federal Government. There is no coalbed methane development. Currently, the ranch annually receives $3,244 from Vermilion Energy (Federal minerals) and $500 from CKT Energy (private minerals) for surface and road damages. The Vermilion well has been inactive for several months. The good news is that they allow the ranch to use their deep water well for a stock tank and with no electricity nor maintenance expense. 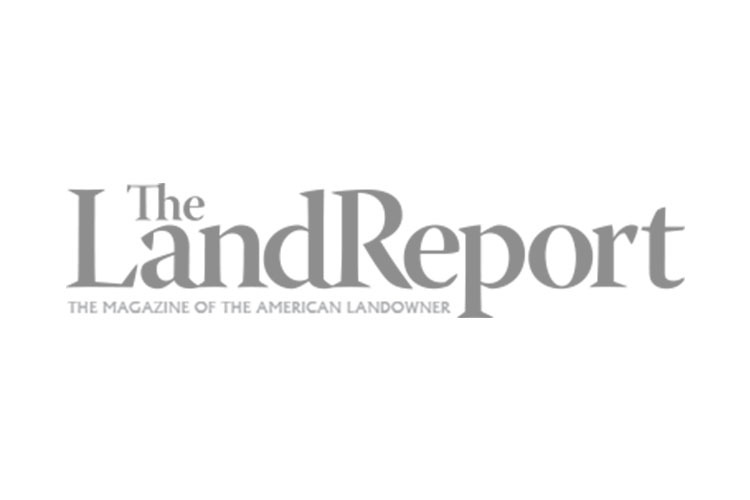 The ranch did recently receive notice from the BLM that they are the deeded surface owner of a portion of land which would be included in a competitive oil and gas lease sale which occurred on March 21, 2018. Results of that sale show that Carpenter & Sons, Inc. from Casper did purchase the lease. There has been no contact from them concerning any future exploration plans. It is easy to continue to extol the virtues of the Crockett Ranch as an ideal balanced livestock operation. But that gives no credit to the amazing wildlife resource on the ranch. It is a true sporting property with mule deer, antelope, and upland birds – even the odd pheasant - along with a growing population of trophy quality elk. Its northern pastures, which encompass some hay meadows and a fair amount of timber, is ideal habitat for the elk and they love it. Over the past 25 years, the current owners have chosen not to maximize the ranch’s potential for guided hunts. They have allowed only two small groups access to the ranch during hunting season. The same people have returned for decades. There is a potential for considerable income should the new owners wish to pursue that option. The recommended method of operation would be to run about 450 mature mother cows, an appropriate number of saddle horses, replacement heifers and bulls. This is also wonderful yearling country and the ranch could be run as a yearling operation, or some combination of cow/calf and yearling, or lease out pasture depending on precipitation. The ranch has put up as much as 1,700 tons of hay in a bumper year, and with a full cow/calf operation, one would be well advised to carry surplus hay into a drier year. The owners are retiring and as of this writing have cut back to 200 cows. This summer they have leased a few pastures to neighbors. Their intention is to sell the balance of the cows this fall and, if necessary, in summer 2019 lease out pastures to the neighbors until the ranch sells. As mentioned earlier one has the ability to work with neighbors and hire part-time help for certain specific tasks making it possible for a hard-working couple to take care of the ranch. The ranch is ideally set up for an active owner and a hired hand or a ranch manager depending on the owner’s needs and desires.